Book Description: Launching Digital Writing in the Elementary Classroom tells the stories of seven teachers who were willing to take risks and venture into new territory by integrating technology into their workshops in meaningful ways. 2.2 What Tools Should I Use? 2.3 What Technology Devices Should I Use? 6.2 Which Path to Travel? Launching Digital Writing in the Elementary Classroom tells the stories of seven teachers who were willing to take risks and venture into new territory by integrating technology into their workshops in meaningful ways. All of them are writing teachers who write. They believe that it’s important for them to do the work they ask of their students. It is in that practice that they learn about the real work writers do. Each chapter tells a different teacher’s story: the successes and challenges of adding digital tools to their writing workshops. 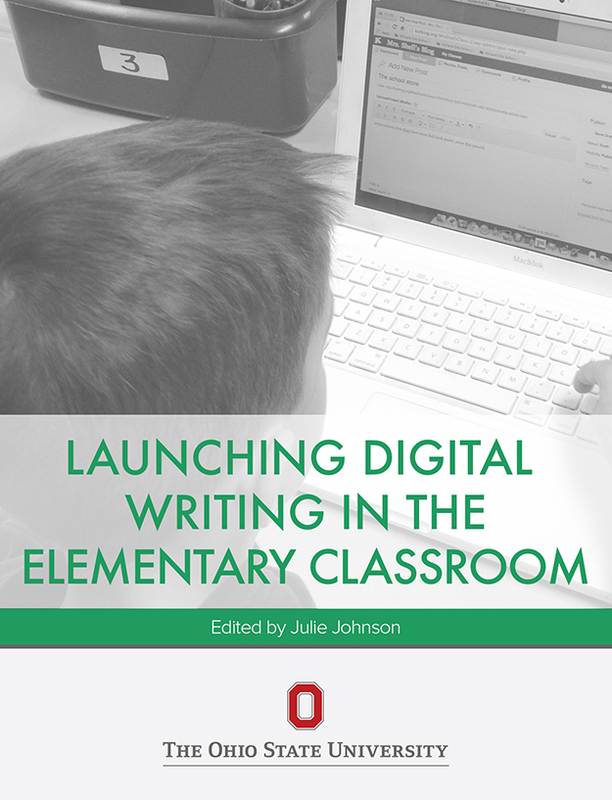 Launching Digital Writing in the Elementary Classroom Copyright © by Edited by Julie Johnson and Johnson, Julie. All Rights Reserved.